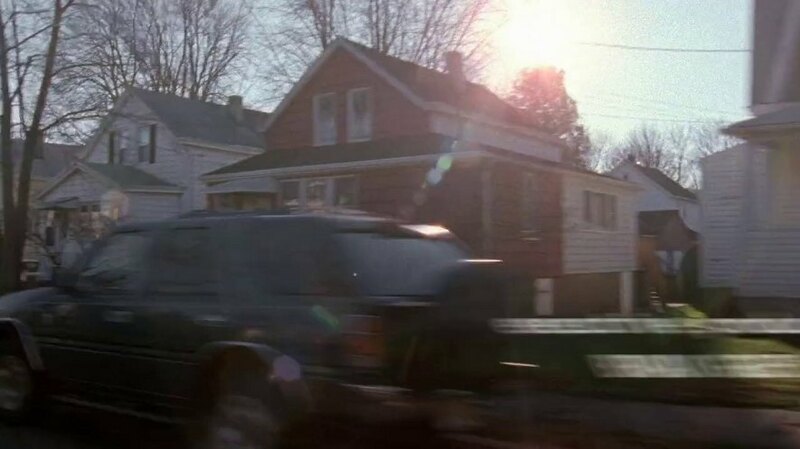 IMCDb.org: 1993 Isuzu Rodeo XS in "The Sopranos, 1999-2007"
This is from the opening credits sequence. Opel Frontera or the Isuzu-clone. It does look a lot like a Vauxhall Frontera, but I didn't think they had Opels in America. I belive the Isuzu Frontera was called the Mu? It's most likely an Isuzu Rodeo (the American version of the Frontera), although as Bref said, it could also be the Honda. The reason I posted cars from the title sequence is because if you are a follower of this show, you will have seen this iconic opening credits sequence dozens and dozens of times at the very least. Since it's a trademark of the show I thought it was worth noting some of the cars that pass by in it. Though maybe this one is a bit too blurry.